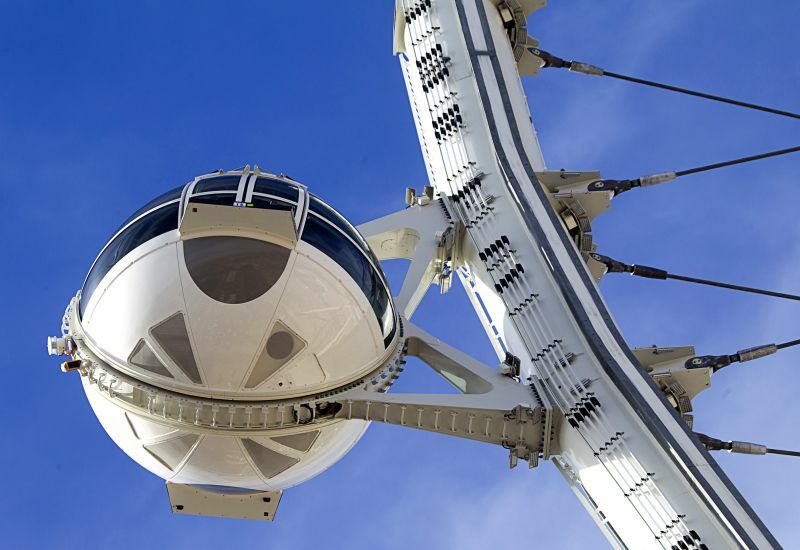 At a staggering height of around 550 feet, the High Roller adjoining the Las Vegas Strip is now the tallest Ferris Wheel in the world, with the 541-feet high Singapore Flyer and the 525-feet Star of Nanchang coming in second and third. 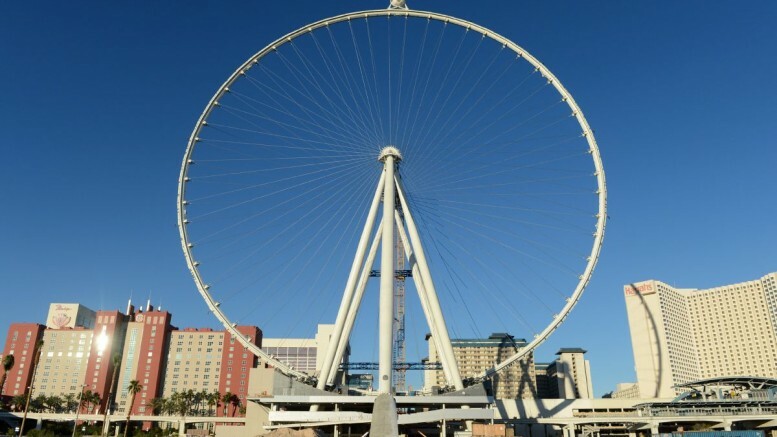 The Wheel has been constructed as part of an outdoor entertainment center called LINQ, an enterprise by the public gaming company, Caesars Entertainment. The architectural firm responsible for this incredible feat is Arup, with the chief design architect being John Kasperowicz of The Hettema Group. 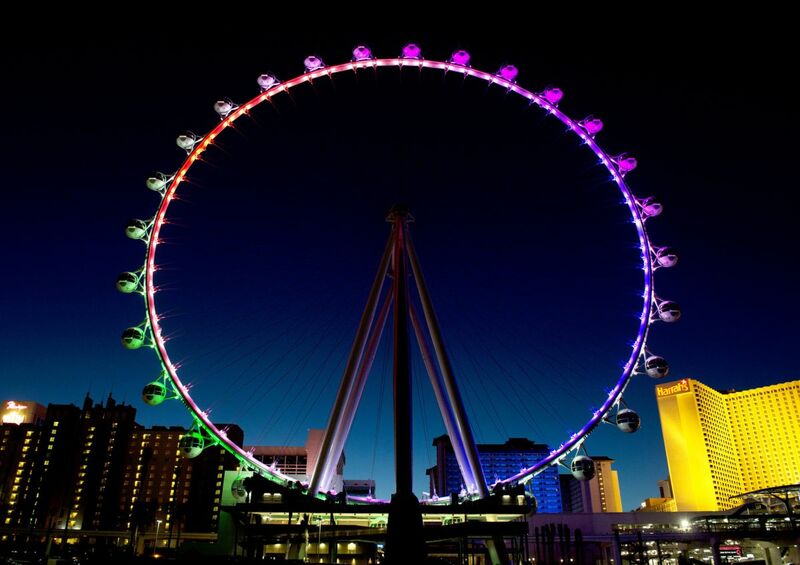 The minimalist structure of the High Roller actually emphasizes the view surrounding it. Even the supporting framework has also been kept minimal, as the designers have intentionally done away with much of the bulky trusswork system. The observation wheel contains 28 specially-designed cabins, each of which can house around 40 people. 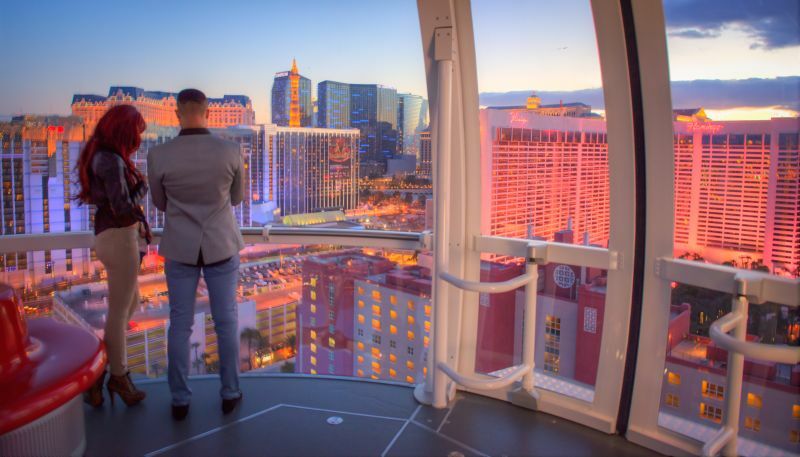 This means, that at any given time, the High Roller can hold nearly 1,120 guests. Every night, this towering structure is lit with the help of 2000 LED lights, that create a strikingly beautiful picture. 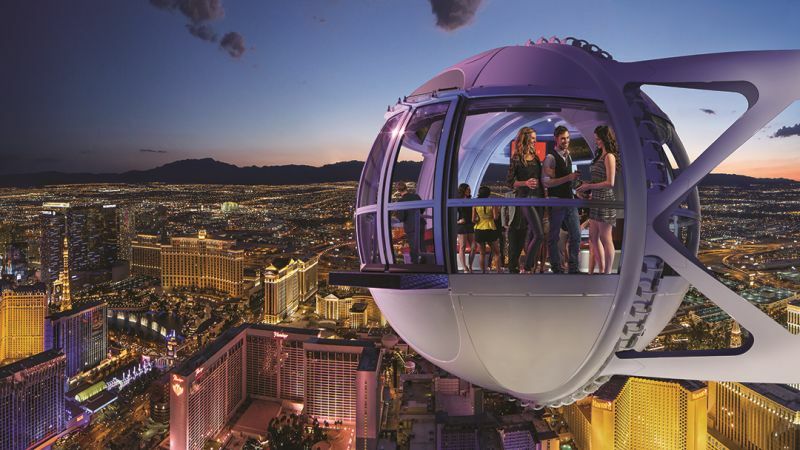 At its highest point, the wheel offers a breathtaking panoramic view of the Las Vegas skyline. 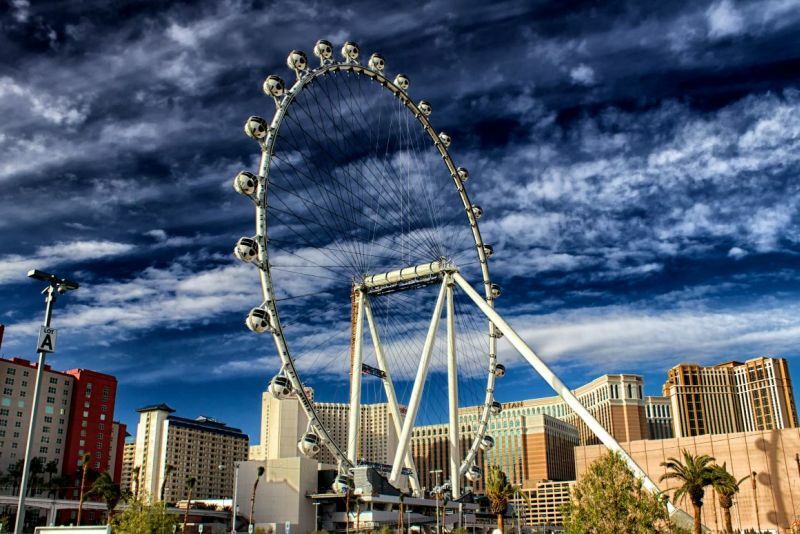 With a total worth of over $550 million, for the High Roller and the LINQ, nothing short of spectacular can be expected, now can it?